We offer a high quality and cost effective solution to the suspension needs of the classic car market, including springs and bushes. 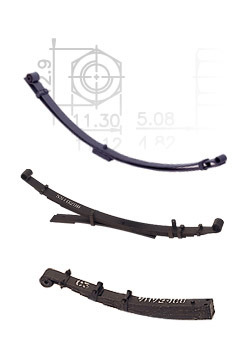 We produce springs wherever possible to original specifications including for instance interleaving to reduce friction and wear. Our springs are also produced for Racing and Rallying applications which highlights the quality and durability of our product. We are able to build new springs, refurbish old springs and develop new solutions for individual problems.